Kanye West has announced the official title of the upcoming G.O.O.D. Music compilation album in a press release sent out earlier this morning (May 18). 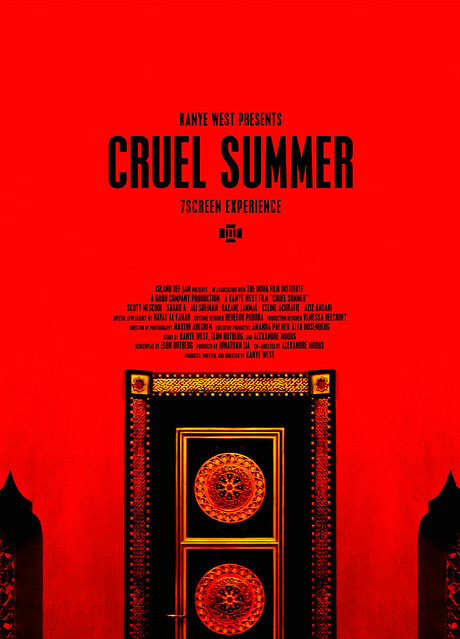 A short art film will also be released to accompany the film and both projects will be titled Cruel Summer. The first screening for the short will debut at the 2012 Cannes film festival on May 23. Aside from tastemakers. the public will also have the opportunity to view an art installation for two days following the premiere. Inspired by the new G.O.O.D. Music album of the same name, CRUEL SUMMER is a fusion of short film and art installation; an immersive "7 Screen Experience" for the eyes and ears unlike anything West has attempted before.